A national network of high-powered electric vehicle charging stations will be essential as new models start to offer hundreds of miles of range, according to a new report by the National Grid. In its latest Future Energy Scenarios thought piece, exploring the options needed to facilitate a move to electric vehicles, the utility company said forthcoming 300-mile electric vehicles feature battery capacities large enough that they would not be able to charge overnight, without substantial upgrades to domestic energy supplies. It also points out that 43% of car owners do not have access to off-street parking. The report suggests a solution may be to establish several thousand high-powered charging hubs for electric vehicles, which function in the same way as fuel forecourts do today. This would enable drivers to visit and top up quickly for longer journeys and mean that electric vehicles are likely to continue to be reliant on forecourt visits until the middle of the century. These sites would have a three megawatt capacity, enough to deliver a 350Kw charge (seven times today’s typical rapid charger) at the UK-average nine-vehicle forecourt capacity. Each would have a maximum power output equivalent to 1,000 homes, the report said, adding that it may be a, “chicken and egg”, situation requiring more vehicles on the road before the network is established. The National Grid’s view suggests that short top-ups could be undertaken at home, for those who have it, and that longer journeys could be undertaken by stopping for a rapid charge at a forecourt. Despite the expected large-scale uptake of plug-ins by 2040, the company said it expects only an 8% increase in peak demand requirements for the network. 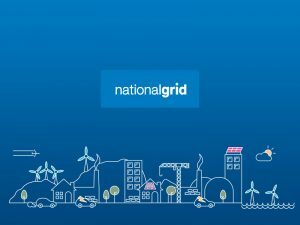 To read the National Grid thought piece, click here.